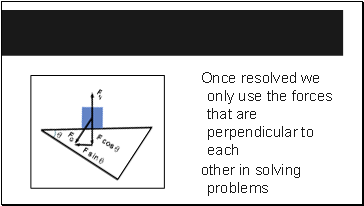 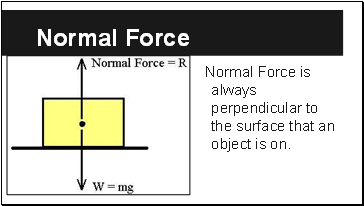 Normal Force is always perpendicular to the surface that an object is on. 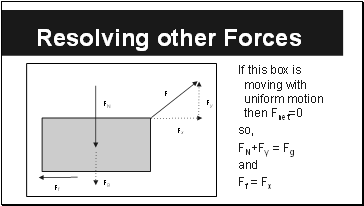 A 30.0kg crate experiences an applied force of 100N acting at an angle of 30O above the horizontal. 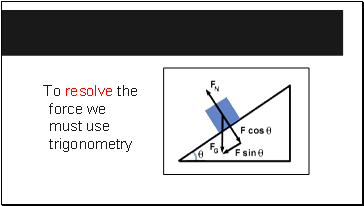 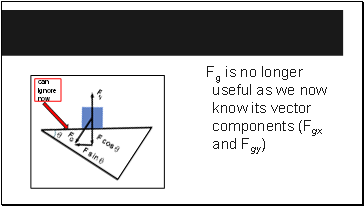 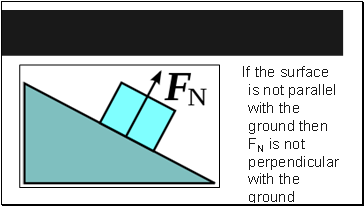 What is the normal force FN on the block? 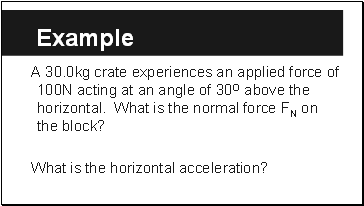 What is the horizontal acceleration? 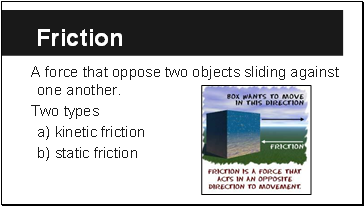 A force that oppose two objects sliding against one another. 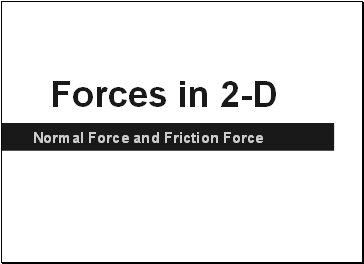 The frictional force that occurs between two objects sliding against each other. 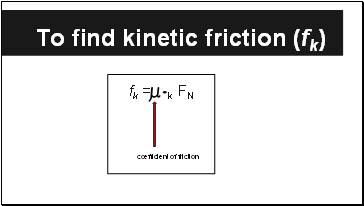 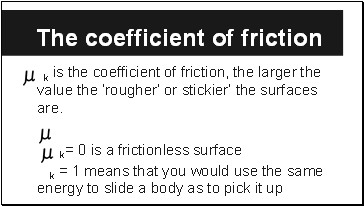 k is the coefficient of friction, the larger the value the ‘rougher’ or stickier’ the surfaces are. 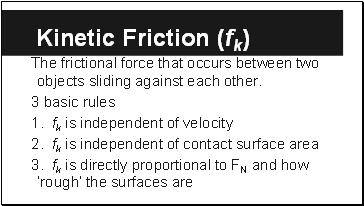 A 20 kg sled slides over a horizontal icy surface against a frictional force of 16N. 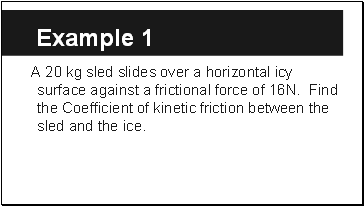 Find the Coefficient of kinetic friction between the sled and the ice.